Turn around orders in record time with this — the fastest printer in its class1, and easily meet your client demands with print speeds up to 140 m²/hr (1500 feet²/hr). Differentiate, expand: with the new HP Vivid Photo Inks, your versatile offering includes top photo-quality and exceptionally fade-resistant prints. Get the right colours and start printing them accurately every time on different substrates, thanks to the embedded spectrophotometer and HP colour technology features that help you operate with ease. Reliable operation: the optional PostScript®/PDF upgrade kit ensures compatibility and greater control over the final print with HP Professional PANTONE Emulation. 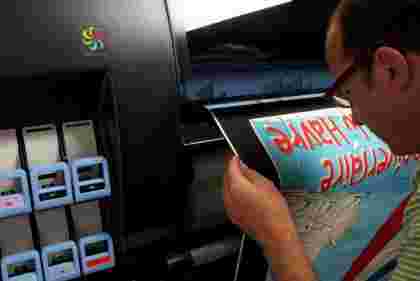 Maintain high productivity, respond quickly, and optimise your print quality with HP printing materials. Take on tough photo printing challenges with a wide colour gamut enabled by chromatic red ink and uniform gloss. The high-speed Designjet Z6200 42" Photo Printer from HP is designed from the ground up to maximize productivity and reduce printing costs. The printer is rated among the fastest in its class and uses extra large 775 ml ink cartridges, significantly reducing the overall cost of ink. The printer contains 4 printheads, each of which hold 2 cartridges so you won't have to switch the matte and photo black cartridges, they're always installed. The Ethernet port lets you share the printer over a network and an optional print server is available for purchase. The printer's built in spectrophotometer automatically calibrates the printer so you don't have to worry about it or waste ink calibrating. 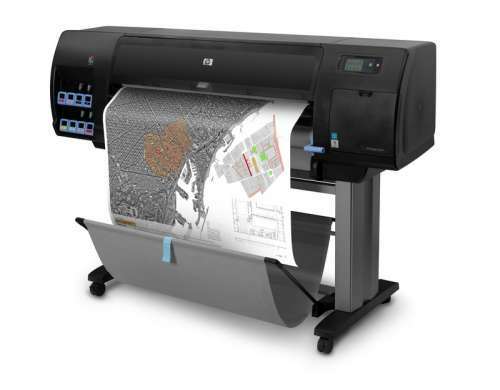 Speed and versatility combine to offer the flexibility and power production photo printer HP DesignJet Z6200. Backlit expand its offerings to high-quality prints, displays, paintings and more. Generate custom ICC profiles and get an accurate and consistent color with integrated spectrometer.